Learning about community helpers is a popular theme in early childhood education, and Fire Prevention Month in October is a great time to teach about firefighters. Most important is that children know that firefighters are workers and friends that help to keep people safe from the harm of fire. This lesson will help you accomplish just that; not only in October but also throughout the year. How does a firefighter help people? What things do they have at the station? There are many tools of the trade that firefighters use in their occupation. As you sing and do fingerplays, it gives the children an understanding about how a firefighter does his/her job. 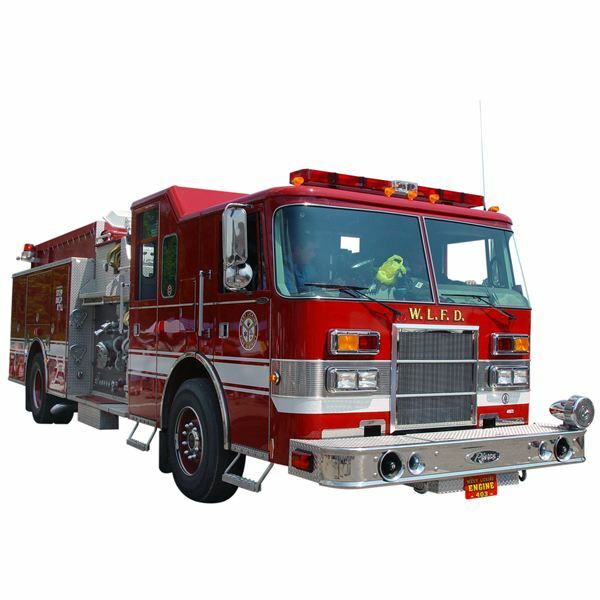 See the great big fire trucks all in a row. Chug chug, clang clang, off we go! Have the children act out the motions as you recite this poem. A fun, on-going activity to compliment your fire station lesson plans is to set up a dramatic play area with firefighter’s clothing such as hats, boots, and coats for the children to wear. Ask your local station for donations or to borrow the items for Fire Prevention Month. Provide a bell for the children to ring and a length of a garden hose to represent hoses used on fire trucks. Invite the children to role-play with these materials. As a math activity, cut a garden hose into various lengths. Invite the children to sequence the pieces from shortest to longest and vice versa. Lead the children in a firefighters workout, as these community helpers need to stay fit for their jobs. Do exercises together like running in place, jumping jacks, and knee bends. It might be fun to set up an obstacle course in the classroom or outdoors (weather permitting) where the children can walk around chairs and crawl under tables. A small ladder on the ground is fun to jump in and out of the rungs. Ask children to become fire inspectors and take a walk around the building looking for fire extinguishers, emergency fire alarm boxes and exit signs. Invite children to make firefighters’ hats while participating in this pretend play. Within this lesson you will find plenty of ideas for helping children learn about one of our most important community helpers, the firefighter, in appropriate ways–through group-time discussions, children’s books, and open-ended play.